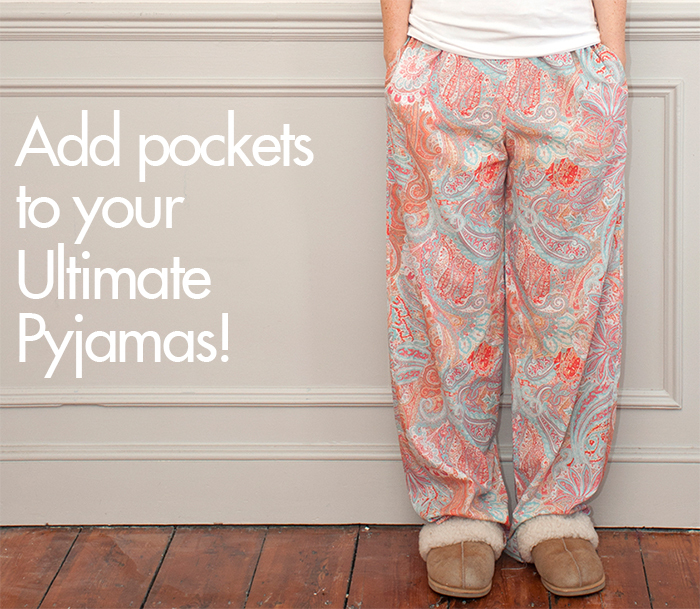 Love pockets in your pyjama bottoms? 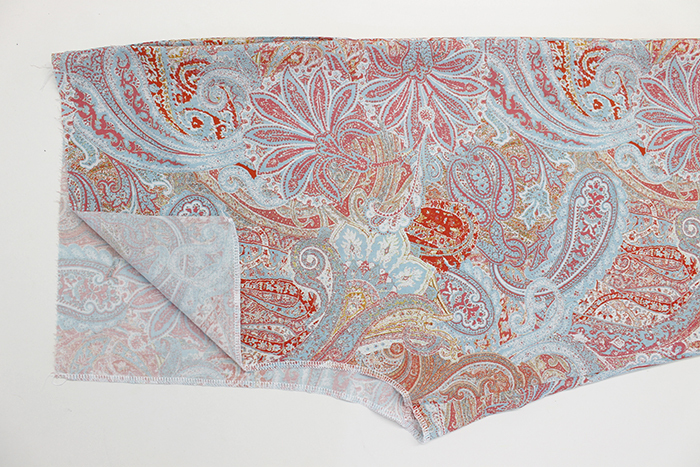 Fancy adding them to your Ultimate Pyjamas? 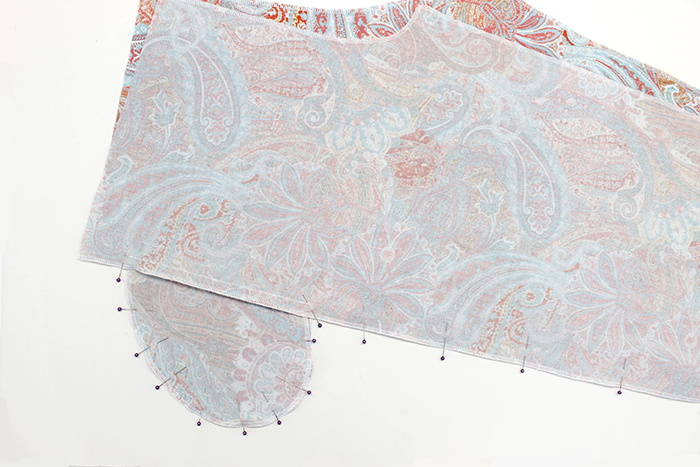 This week we’re bringing you a free pocket pattern piece so you can do just that! 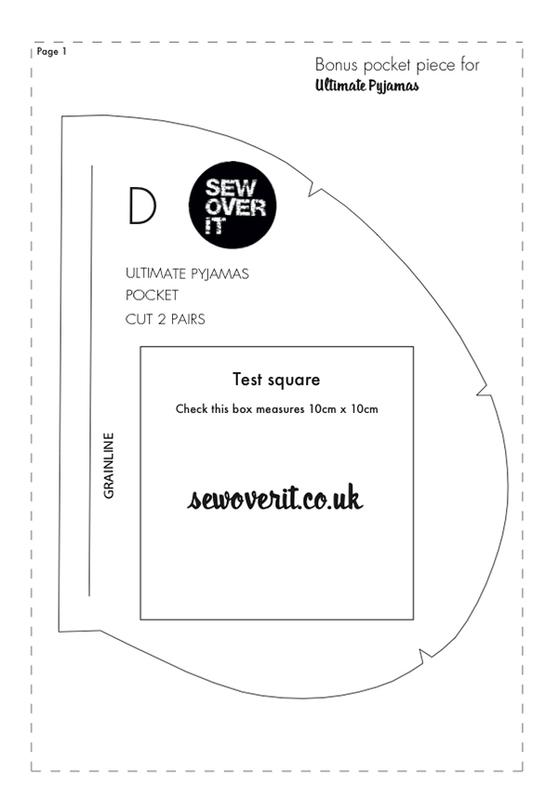 First off, start by downloading the free bonus Ultimate Pyjamas Sewing Pattern Pocket Piece. (Just click the link.) Open the file in Adobe Acrobat Reader, and print. Check your print settings are set to 100% (and not Fit to Page, or Scale Fit). Once it’s printed, check the box measures 10cm x 10cm. If it does, you’re good to go. 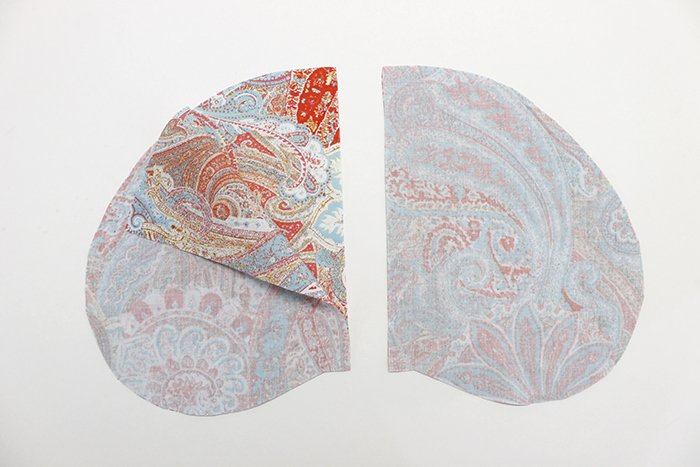 Once all cut, finish the long curved edges of all four pocket pieces with an overlocker or zizgag stitch. Also finish the side edges, inner legs and crotch curves of the pyjama leg pieces in the same way. Now, take one pyjama leg piece and place the pocket piece right sides together at the side seam. To make sure the pockets will match up, accurately line up the bottom of the pocket piece with the top notch on the pyjamas side seam. Pin in place at the side seam. 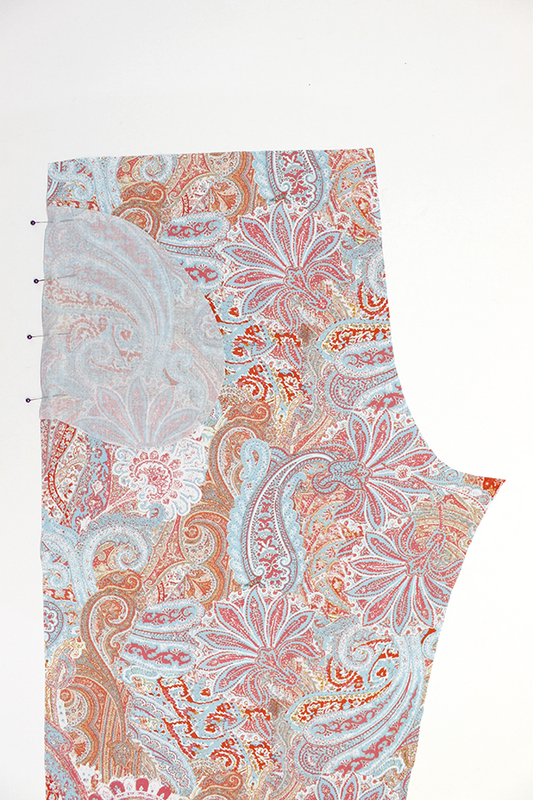 With a 1.5cm seam allowance, stitch the pocket to the pyjama leg. Repeat for the other three legs. Once sewn, open out the pockets and press. Take one front leg and one back leg and place them right sides together. Match up the notches and the pockets. Starting at the waist, pin the side seams down to the hem. Pin all the way around the pockets. 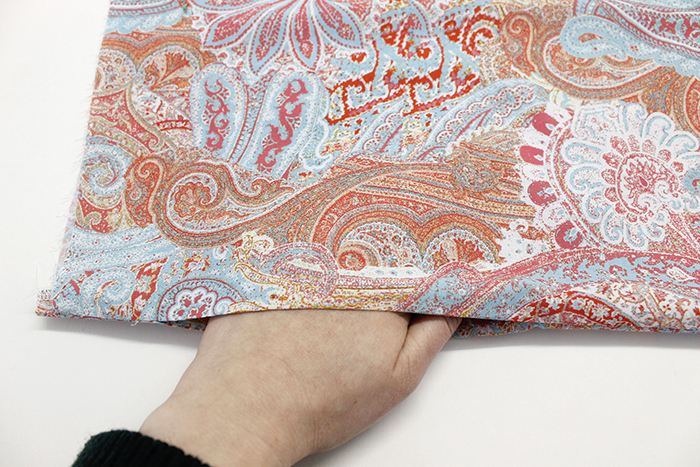 Stitch this seam with a 1.5cm seam allowance, pivoting at the top and bottom of the pocket. 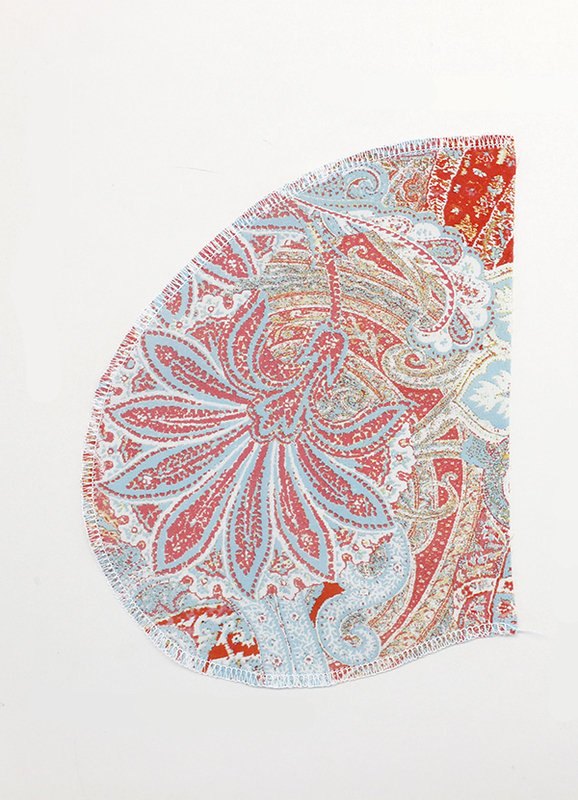 Go slowly around the pocket – as it is so curved it can be a bit tricky. 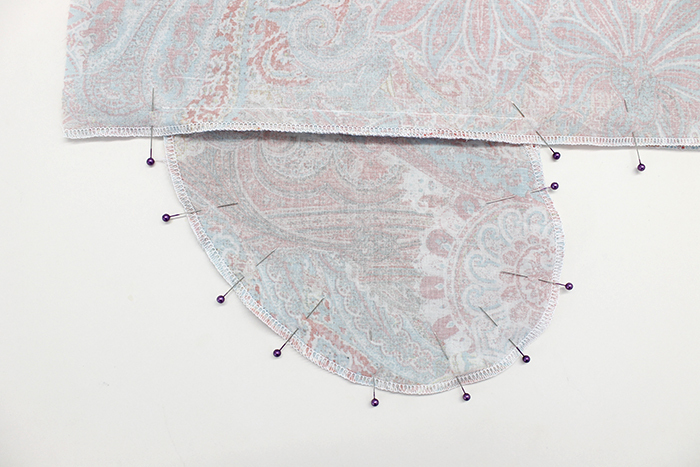 You might find it helpful to use a smaller stitch length around the curve, as this will slow your sewing machine down a little, giving you more time to manoeuvre the pocket. Repeat for the second leg. Now your pockets are all attached and you can sew up the rest of the Ultimate Pyjamas as described in the instruction booklet! Are you making the Ultimate Pyjamas? Quick and easy to sew and requiring minimal fitting, they make great handmade Christmas gifts! If you fancy having a go, get your Ultimate Pyjamas sewing pattern on our online shop.